Vicente Rodríguez Bonachea graduated from the San Alejandro School of Fine Art in 1976. He was a member of the National Union of Cuban Writers and Artists (UNEAC). He worked as design and drawing professor at the Polytechnic Institute of Industrial Design and as painting instructor at the Paulita Concepcion Elementary Art School. 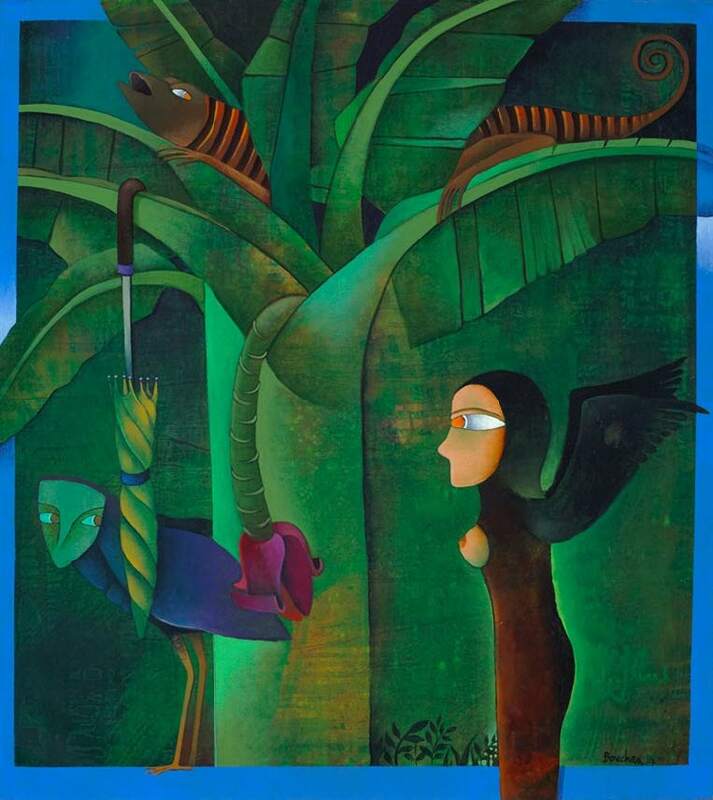 He has exhibited his works in many important institutions such as the 12 y 23 Art Center, La Acacia Gallery and Habana Gallery, all in Havana; the Arte-Objeto Gallery in Merida, Mexico; the Central American Autonomous University in San Jose, Costa Rica; the Arte Nader Gallery in Santo Domingo, Dominican Republic; Le Manoir Gallery in Cologny, Switzerland; FP Gallery in Lisbon, Portugal; Wisma Kebudayaan SGM in Kuala Lumpur, Malaysia; Jacob Javits Center in New York; Fernando Pessoa Gallery in Miami, Florida; the Becham Cultural Center in Antwerp, Belgium; the Vinaint Gallery in Vienna, Austria; the George Pompidou Center in Paris, and the Metropolitan Museum in Tokyo, Japan. His received the Drawing Award at the City Salon (Havana, 1982), an Honorary Mention and Third Prize in the NOMA Contest (Tokyo, Japan, 1986 and 1988) and the Graphic Art Honorary Mention from Plural magazine (Mexico, 1992), among other major achievements. Untitled, 2007. Acrylic on canvas. Object: 31 1/2 x 28 1/2 in. Untitled, 2005. Acrylic on canvas. Object: 39 3/8 x 31 1/2 in.